"A fun and tricky game about being a player." 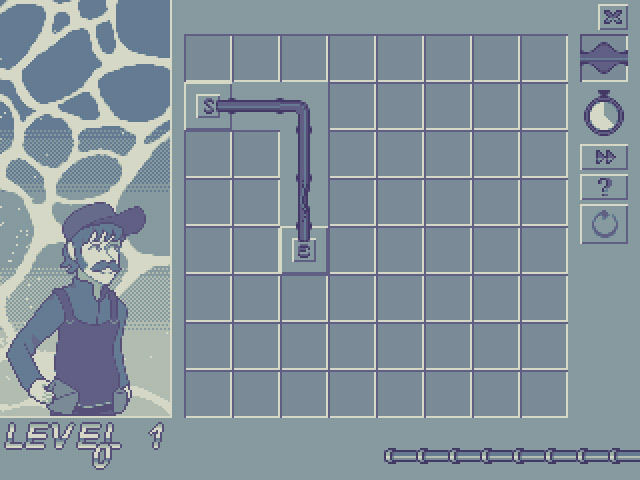 Mr. Plumber Man is a simple looking puzzle game yet it can be a lot harder than meets the eye, the game is made in an 8 Bit greenish hue reminiscent of GameBoy games and this game does have a familiar feel to games such as Tetris, however it’s a nice twist and there’s a real feeling of achievement when you manage to get one pipe to the other and see the water flowing through them. 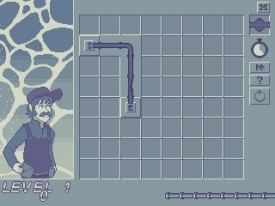 The basis of the game is you are given a board of squares, two of these squares have a piece of plumbing equipment in them and by clicking on the squares near to them you can put a piece of piping in and must then do so until you have linked the start and the end of the pipes together, however some squares will not allow you to put the exact piece in that you want to and you will need to find an alternative way to get the pipes to each other, however you are always against the clock because the water will start at some point and if you haven’t made a successfully connected pipeline then it’s game over and Mr. Plumber Man will lose his job. 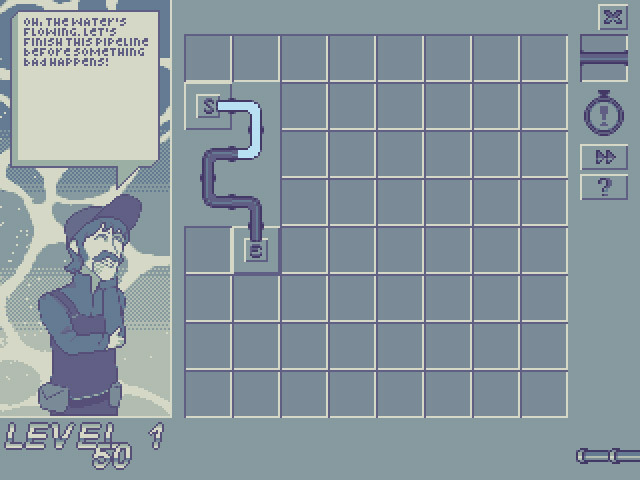 You can download Mr. Plumber Man here for free.